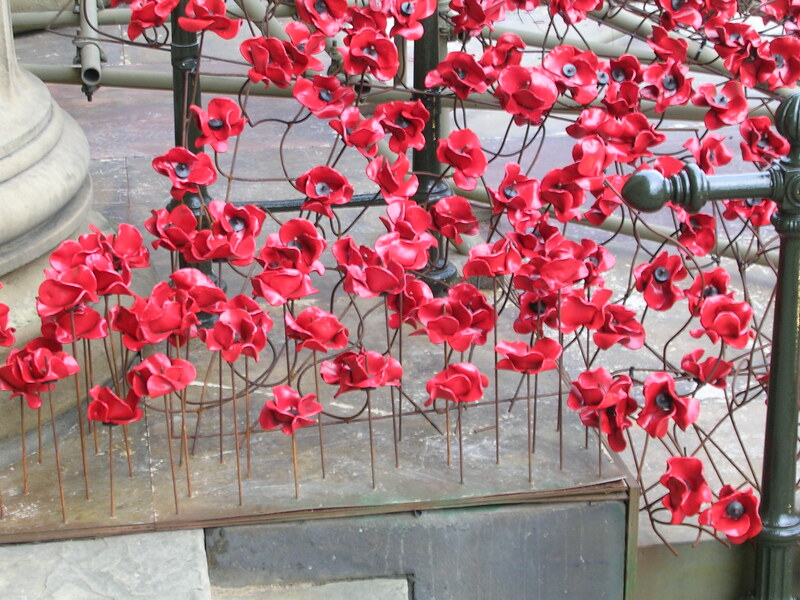 I was lucky enough to be in London last year to see the amazing display of 888,246 ceramic poppies filling the moat of the Tower of London. 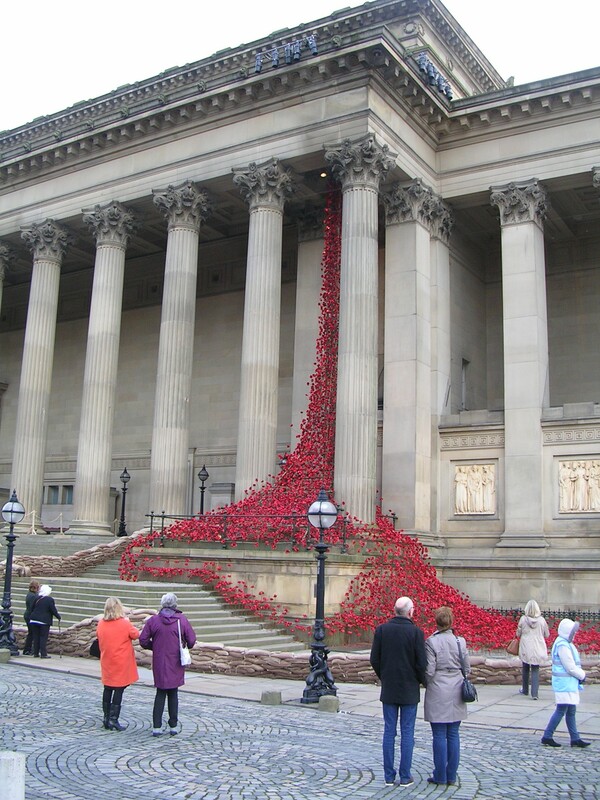 Most of them were sold for charity, but the display raised such public interest that a small quantity were retained and sent on a national tour. 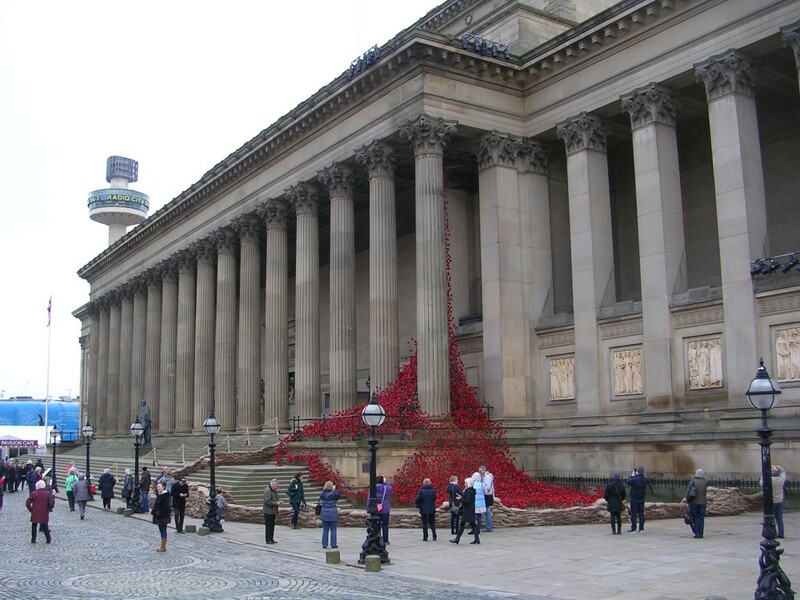 One year on it’s Liverpool’s turn, and the poppies were installed at the front of St George’s Hall, just in time for Remembrance Sunday. 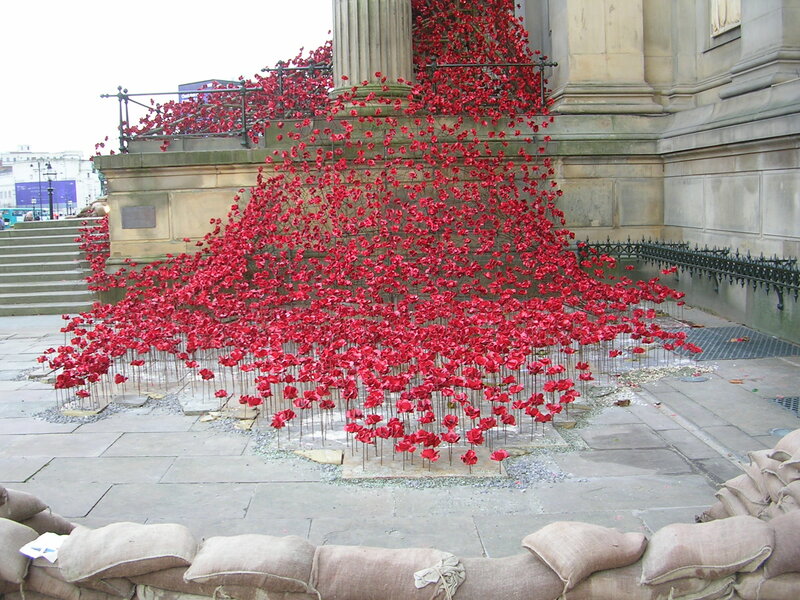 I must add a note of congratulation to the organisers of this display: It would have been so easy to keep the crowds a safe distance from the poppies using the usual ugly steel fencing panels. It was a stroke of genius to use sandbags instead.